MONDAY, Jan. 9, 2017 (HealthDay News) -- Mammograms frequently detect small breast tumors that might never become life-threatening, causing women to receive treatment they likely don't need, a new Danish study finds. About one in every three women between the ages of 50 and 69 who was diagnosed with breast cancer wound up having a tumor that posed no immediate threat to her health, the researchers reported. At the same time, mammography did not reduce the number of advanced breast cancers found in women in the study. "This means that breast screening is unlikely to improve breast cancer survival or reduce the use of invasive surgery," said study author Dr. Karsten Juhl Jorgensen, deputy director of research for the Nordic Cochrane Center at the Rigshospitalet in Copenhagen. "It also means that breast screening leads to unnecessary detection and treatment of many breast cancers." Dr. Otis Brawley, chief medical officer for the American Cancer Society, said the study shows that breast cancer overdiagnosis is real. But, screening for the disease saves lives as well. Doctors refer to the detection of non-life-threatening cancers as "overdiagnosis." Women overdiagnosed with breast cancer are frightened needlessly and undergo potentially harmful, but ultimately useless, medical treatments like surgery, chemotherapy and radiation therapy, Jorgensen said. These results call into question the value of regular mammograms, Jorgensen said. Current U.S. guidelines recommend mammograms every other year for women aged 50 or older, although some medical societies recommend annual screening. "Breast screening has not lived up to its promises," Jorgensen said. "All women must seriously consider whether participation in breast screening is right for them, after having sought balanced information about what it can and cannot do." The new study was published in the Jan. 9 issue of the Annals of Internal Medicine. The American Cancer Society's Brawley agreed that overdiagnosis is a concern. He wrote an editorial that accompanied the study. 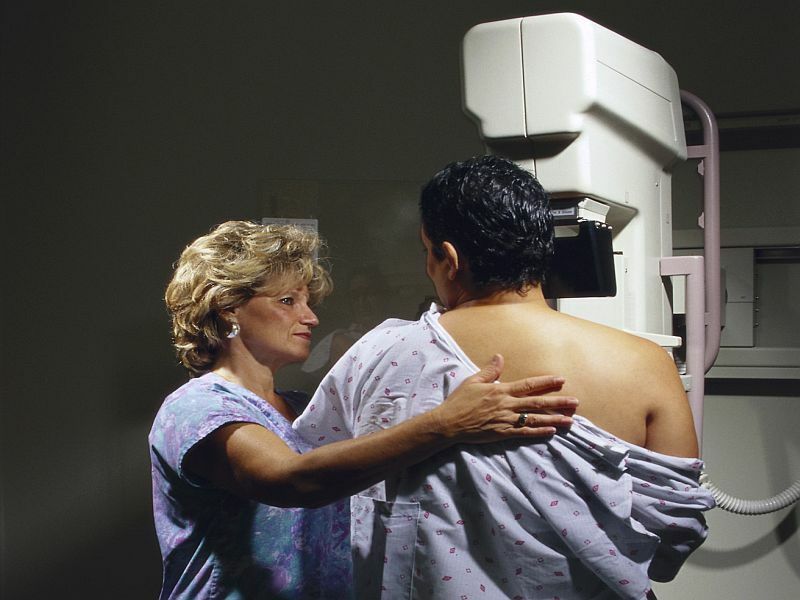 But, Brawley said the current regimen still saves lives, and women should continue to get mammograms while doctors hone genetic tests that will provide a more accurate appraisal of each tumor. "While we try to better define just how good mammography is, that does not mean women should stop getting screened. It does not mean women should stop getting treated right now," Brawley said. "It does mean that we need to find better screening tests and better treatments." For the study, Jorgensen and his colleagues used data from two comprehensive Danish cancer registries to check the effectiveness of breast cancer screening. They reviewed the medical records of all Danish women diagnosed with invasive breast cancer between 1980 and 2010. Different regions of Denmark adopted regular breast cancer screening at different times, offering the researchers a before-and-after portrait of the effectiveness of mammography, Jorgensen said. The researchers compared the incidence of advanced tumors in women aged 50 to 84 in areas that had adopted regular breast cancer screening against areas that did not regularly screen. They also compared the detection of small, non-advanced tumors among women in several age categories: 35 to 49, 50 to 69, and 70 to 84. The researchers concluded that between almost 15 percent to nearly 39 percent of breast cancers were overdiagnosed. Guidelines are already shifting to recommend breast cancer screening less frequently, Jorgensen noted. "The American Cancer Society now recommends less frequent screening of a narrower age group than just two years ago. Our study supports this development, which will continue," he said. "Independent expert groups in both Switzerland and France recommend that we stop breast screening entirely because the benefit is doubtful whereas the harms are certain and serious." While this study shows that overdiagnosis is real, Brawley noted that a number of clinical trials have shown that screening does help detect potentially fatal breast cancers. "Yes, this study tells us one of the harms is if you're diagnosed with localized breast cancer, you may receive treatment you may not need," Brawley said. "But in the same breath, you need to say we have studies that show while we cure some women who don't need to be cured, we clearly cure some women who need to be cured. Therefore, we net save lives." Women will benefit from better breast cancer screening techniques that use genetics to predict the danger each tumor poses, Brawley said. "In 2017, we're already scaling up or scaling down our breast cancer treatment according to these genomic definitions," he said. "I predict that within the next 10 years, there are going to be a group of women who are diagnosed with breast cancer and told genomically we think this is a relatively indolent disease, and therefore we're going to watch your cancer. We're not going to treat it initially."